How Much Yarn Do I Need for Knitted Sweaters or Cardigans? Have you ever wondered, “How much yarn do I need for my (insert type of knitwear) project?” I have, and I learned the hard way! My original plan was to make a long vest out of this scrumptious pile of fiber (photo at left), but when I got home and looked at the pattern I had in mind, I didn’t have enough yarn. Bummer! And I only needed about 250 more yards. Twisted comes in generous skeins of 560 yards, so I’d have leftovers if I ordered another skein, plus the dye lot might not be consistent with my lot. (One of the lovely characteristics of hand-dyed yarn is that it’s just that—dyed by hand!—so the dye from one lot might be pretty different from that of another lot). Anyway, after half a year of thinking about this yarn type and what project to use it with, I found some inspiration hidden in one of my favorite books, The Knitter’s Companion by Vicki Square. 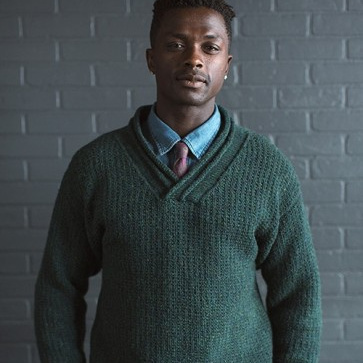 I thought about my lonely bag of Blue Moon yarn, and lo and behold—the idea came to me: A cardigan with the main body knit from Twisted and the ribbing at the bottom, cuffs, neck (and the button band) knit from Socks that Rock held double. I might need another skein of sock yarn for this, but I can choose anything that’s similar to my colorway and hold it with Socks that Rock and it’ll work. Right? The moral of this story is that inspiration comes in all forms. And here’s the list of yardage estimates for you so you never again have to unknowingly wonder, “How much yarn do I need?” Take a look at the list and then wander through your stash and see if you have any yarn that’s a tad short (or long!) on yardage for the project you had planned for it; use the estimates to plan a new project for that yarn. You never know what will pop out at you. 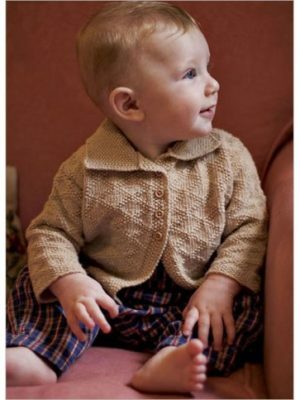 The following guidelines are for the amounts of yarn needed for a basic pullover or cardigan in a variety of sizes and yarn sizes. These ‘how much yarn do I need?‘ estimates are for smooth yarns and plain or lightly textured knitting. Keep in mind that heavily textured patterns such as all-over cables or oversized looks can easily require additional yarn (400-600 yards; 375-550 meters). 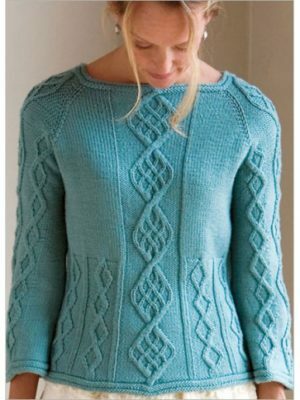 When knitting with two or more colors, the total yardage will be greater to account for the yarns being carried across the back of the work. Estimate generously, and if you have leftovers … well, they’re a designer’s best friend! Now go forth and visit your stash! Never get stuck on the question, “How much yarn do I need for a knitted sweater or cardigan?” again! Now that you know how much yarn you need, do you know how much yarn you currently have? 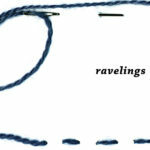 This neat Yarn Hack will help you estimate the yardage remaining on your partial skeins. This video is part of our Yarn Hacks series—you’ll find many more great knitting tips and tricks in these snack-size videos! Find More of What Your Needles Crave in the Store!